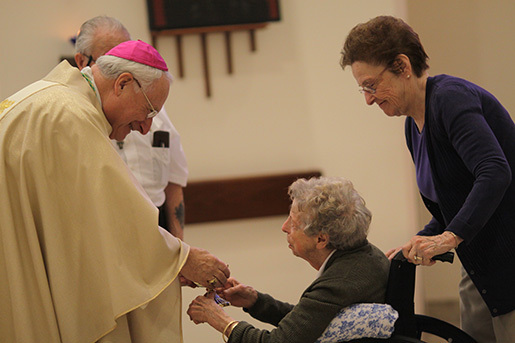 In commemoration of the 225th birthday of Saint Jeanne Jugan, Foundress of The Little Sisters of the Poor, the Chapel at the Jeanne Jugan Residence in Pawtucket, RI was the setting for a beautiful celebration of Mass to honor her. 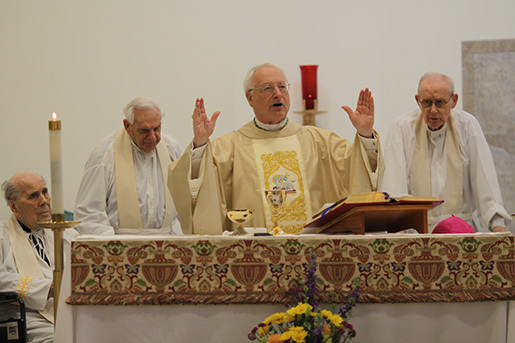 Auxiliary Bishop Robert C. Evans of the Diocese of Providence concelebrated Mass with our Resident religious, Bishop Francis Roque, Bishop Ernest Boland, Monsignor William Varsanyi, and Father Robert Caul. 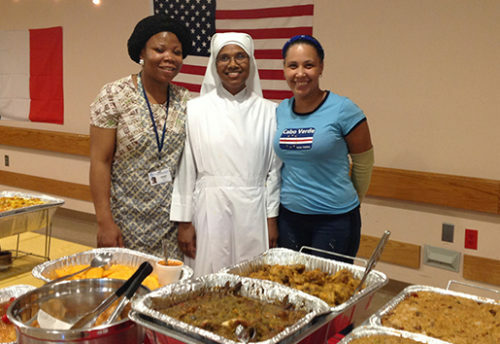 After Mass, Residents and guests enjoyed a beautiful meal prepared by our talented kitchen staff who always go the extra mile for our family. 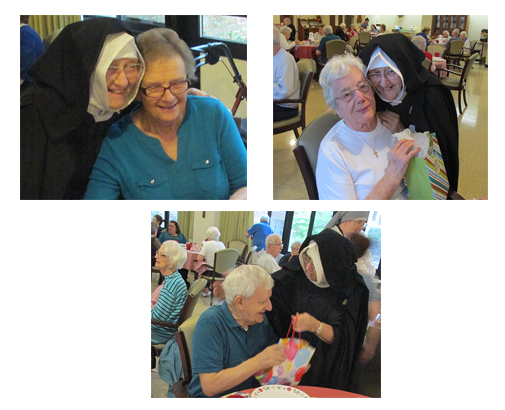 During dinner, Sister Mercy Stella Theresa, mother superior of the Pawtucket community, along with Resident Rose Spavold in costume representing Saint Jeanne Jugan, presented gifts to everyone. 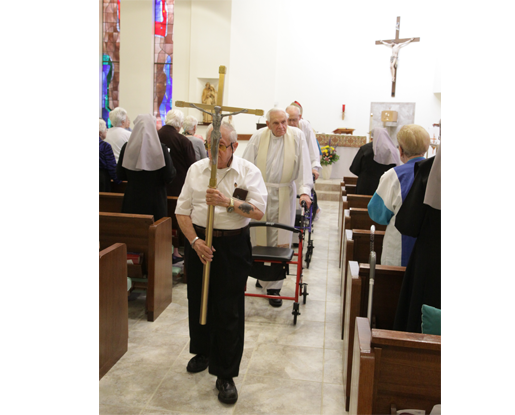 Following dinner, the JJ Players, an artistic and clever group of Residents and volunteers, presented a play depicting the story of St. Jeanne Jugan. 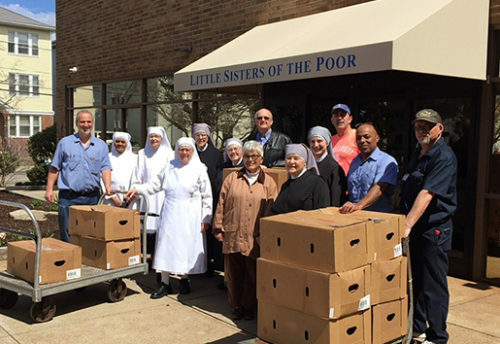 Dressed in the costume of France at that time, the players illustrated the life of Jeanne Jugan and the founding of the Congregation of The Little Sisters of the Poor. 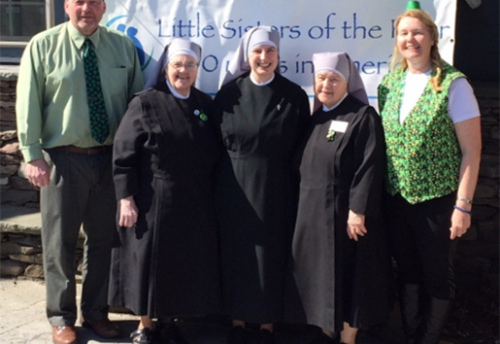 Co-written by Resident Jeanne LaChance and Activities Director Kate Robichaud, and interwoven with music and song by faithful volunteer, Karen Guardibosico, the performance was enjoyed by all. 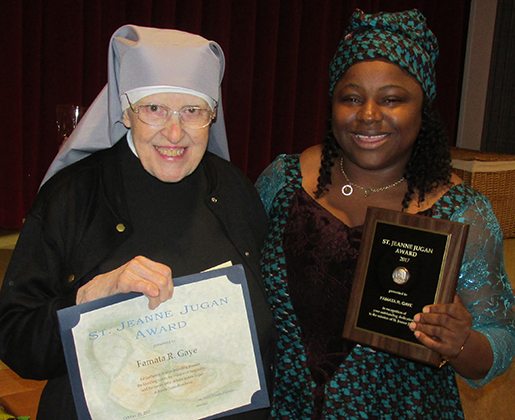 Finally, and as is customary for this feast day, an annual service award was presented to the employee who most represents the spirit of Saint Jeanne Jugan. Voted by fellow employees, the 2017 award was presented to CNA Famata Gaye. With so much to celebrate and commemorate, it was another delightful day at our Home. Chapel photos and quotes courtesy of Rhode Island Catholic.